You Are Here: Home > What is Mercedes-Benz AMG®? When it comes to pure, unbridled performance on the road, Mercedes-Benz already has a reputation that precedes it. Before you even slide behind the wheel, turn the key, or hear the exhaust come to life, you know that a vehicle bearing Mercedes-Benz badging is crafted with the utmost precision. 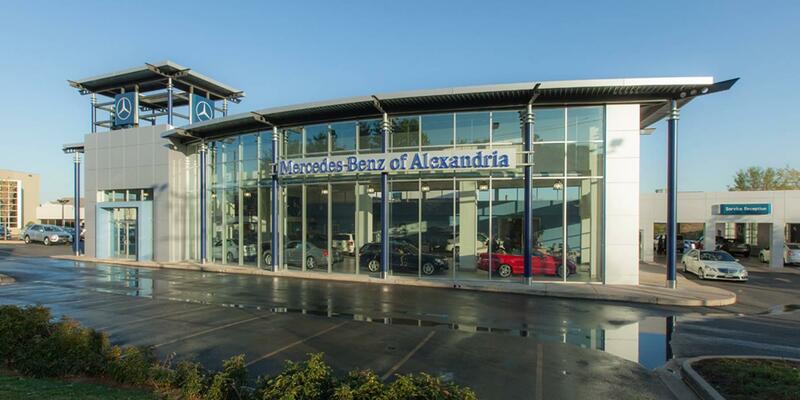 After all, that’s a key element of what draws passionate drivers to the latest Mercedes-Benz vehicles at our Alexandria showroom. Such a dedicated automaker, though, simply can’t leave well enough alone. Instead, the engineers at Mercedes-Benz are always looking to push the envelope in pursuit of perfection. That’s what inspired AMG®, the automaker’s performance division. The Mercedes-Benz AMG® lineup is composed of vehicles built around high-performance engines. These AMG® models include offering in every body style that comprises the Mercedes-Benz lineup here at our Alexandria dealership. Whichever model line you choose–from the new AMG® 43 line up through the legendary AMG® 45, 63, and 65 lines–they all share one commonality: a hand-built engine assembled for the best performance possible. In fact, each and every AMG® engine is assembled in Affalterbach to meet strict standards for precision. To ensure that this process is carried out with the utmost care and attention to detail, each individual AMG® engine is assembled by a single AMG® master technician before being closely inspected in accordance with Mercedes-Benz quality criteria. If your heart is pounding with a desire to claim legendary performance for yourself, then these unparalleled engines are the key to unlocking that passion. From inline four-cylinder turbo engines to V6, V8, and even V12 biturbo engines, the AMG® line is designed to bring spirited drivers to life. For more information on the Mercedes-Benz AMG® lineup, or to schedule a test drive at Mercedes-Benz of Alexandria to experience the difference for yourself, be sure to contact us by calling (703) 341-2100 today. We are conveniently located in Northern Virginia, near Washington D.C. and Prince George’s County.